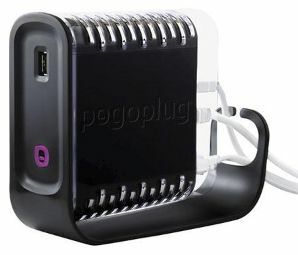 Adorama has the Pogoplug Multimedia Sharing Device for $14.99 with Free Shipping. That's the lowest price we've seen on the black model. For Wireless Networking: Rakuten.com (formerly Buy.com) offers the Pogoplug Mobile Multimedia Sharing Device for $17.99 plus $6.14 for shipping. Apps for Apple iOS and Android are available. Pogoplug lets you share any USB device (hard drive, thumb drive, etc.) from your PC or Mac with anyone over the internet...also works with iPhone and Android smart phones. Just plug it into your router, setup an account and begin sharing your stuff with others...or accessing it yourself when you're away. You still plug the wireless version into your router with a cable, but you can stream to your smartphone or tablet using your home wireless network.